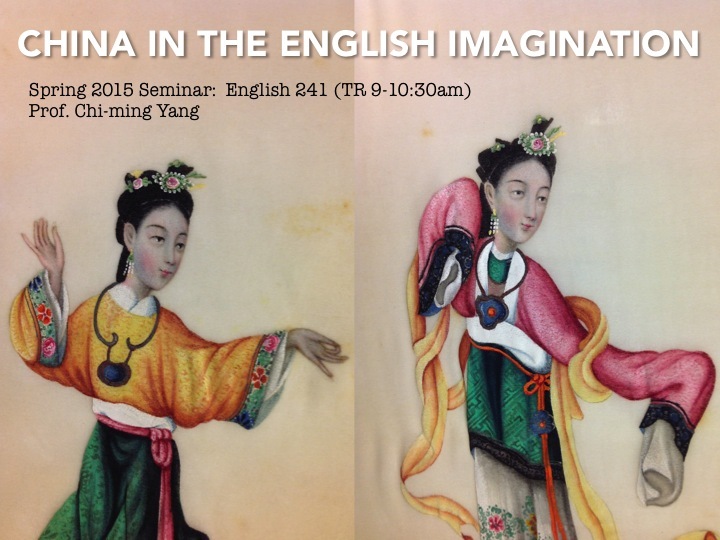 This course explores the material culture of china-mania that spread across England and Europe in the eighteenth century, from chinoiserie vogues in fashion, tea, porcelain, and luxury goods, to the idealization of Confucius by Enlightenment philosophers. How was Asia was imagined and understood by Europeans during a period of increased trade between East and West? The course texts include travel writing, poetry, essays, and plays. Students will work closely with rare books and with art objects at the Penn Museum and the Philadelphia Museum of Art. The course is designed to provide historical background to contemporary problems of Orientalism, Sinophilia, and Sinophobia. Assignments will include regular blog posts and a final research project in the form of an online exhibit on the history of an object of the China trade.